Patrick is the former Resident Agent in Charge of Homeland Security Investigations for Charleston, SC, the largest Federal investigative agency in the low country. 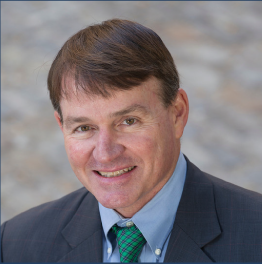 A 1983 graduate of the Citadel and former Marine Corps Officer, Patrick became a U.S. Customs Special Agent in 1987 and worked extensively conducting Federal investigations throughout the Carolinas for the past 29 years, retiring in 2015. In 2003, in response to September 11, 2001, U.S. Customs merged into Immigration and Customs Enforcement (ICE) as part of the Department of Homeland Security. Patrick was promoted to a Supervisory Special Agent in Charleston and the Resident Agent in Charge in 2006. Throughout his career, Patrick has gained extensive experience investigating sensitive and complex cases that included drug conspiracies, intellectual property rights, asset seizures, money laundering, illegal imports and exports, international crimes, child exploitation, and background investigations. Along with being a Firearms Instructor for 13 years, Patrick conducted Use of Force training to agents and Task Force officers. He has had formal training in Marine Law Enforcement, Undercover Operations, Executive Communications and Fraud Investigations. He has experience in executive protection, working security details in Presidential Candidate campaigns, the 2000 Millennial UN Summit and the 2002 Salt Lake City Olympics. As the Resident Agent in Charge, Patrick supervised dozens of Special Agents and Task Force Officers conducting a wide variety of investigations involving violations of Federal Laws. He developed and maintained relationships with other law enforcement agencies, planned and implemented enforcement actions and handled media and other sensitive matters. Patrick has experience in public speaking, addressing various groups regarding politically sensitive issues such as immigration enforcement, human trafficking and criminal gangs. He has been interviewed on camera numerous times and has been a guest on radio. In 2009, Patrick was assigned as the Commander of the Homeland Security Investigations Rapid Response Team for the Carolinas and Georgia. As Commander, Patrick led his team in responding to national crises and supporting local law enforcement under stress from natural and other disasters to include the 2010 Haitian earthquake, 2012 Hurricane Sandy and the 2014 Border Crises involving the surge in Central American unaccompanied minors into the United States. Under difficult and stressful conditions, these deployments required an ability to cooperate and work with several jurisdictions and agencies to accomplish the missions. Patrick has earned a reputation as a trouble shooter who can establish calm and control under stressful circumstances. In concert with the Quick Group, Patrick will help bring the best possible outcome to your legal situation and provide experienced guidance in the understanding of federal investigations.